... even if every bone in your body tells you to. What's the best part about baking snickerdoodles or Pillsbury's chocolate chip? Most people would tell you that it's sneaking a bite or two of raw cookie dough (or, perhaps, licking the bowl clean). With the holiday season in full swing, the CDC has issued an update to one of its Healthy Living features on the dangers of consuming raw cookie dough. It's simply called "Say No to Raw Cookie Dough." "This is not a new warning; it's a seasonal one because so many people bake this time of year who don't bake otherwise," a representative from the CDC tells Metro. The feature was actually written back in 2016 after 63 people were infected from an E. coli outbreak linked to raw flour. "We know that baking is a fun holiday activity for many families, a way to share traditions and special family time," the CDC rep explains, "and [we] want to make sure as people are baking, that they're doing so safely." So, why is eating raw cookie dough dangerous? 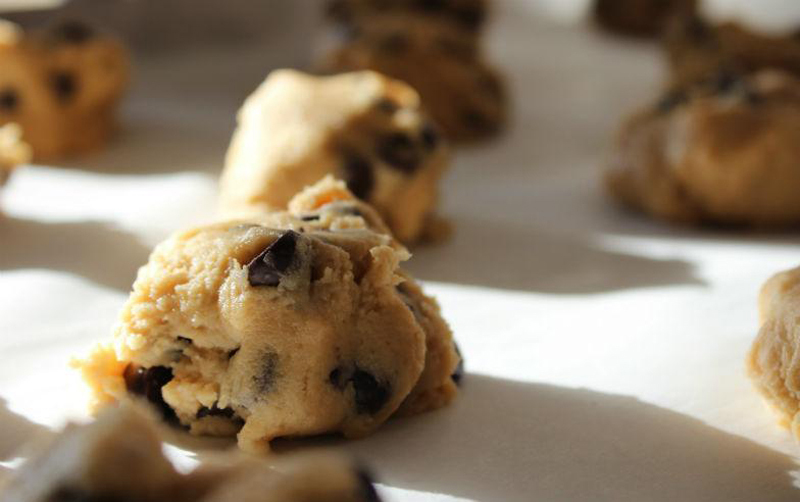 Raw cookie dough contains flour that can be contaminated with E. coli and raw eggs that may be contaminated with Salmonella, despite how delicious it may look. See? "When you prepare homemade cookie dough, cake mixes, or even bread, you may be tempted to taste a bite before it is fully cooked," the CDC notes, clearly sympathizing with raw cookie dough lovers. "But steer clear of this temptation - eating or tasting unbaked products that are intended to be cooked, such as dough or batter, can make you sick." Leslie Smoot from the FDA's Office of Food Safety explained in 2017 that people may overlook flour specifically as a harmful product in raw dough because they're so focused on the eggs in it. Flour, though, has its potential health hazards. "Flour is derived from a grain that comes directly from the field and typically is not treated to kill bacteria," she stated. Therefore, bacteria from animal waste could contaminate the grain that is harvested and milled into flour. What about raw cookie dough in ice cream? The CDC warns against making your own homemade cookie dough ice cream. Instead, buy commercial products. "Cookie dough ice cream sold in stores contains dough that has been treated to kill harmful bacteria," the CDC says. So, that's a relief. You can find safe "edible" raw cookie dough from brands like NYC's DO and World's Best, which use "heat-treated" flour and pasteurized eggs to kill any harmful bacteria. Besides refraining from tasting raw cookie dough, the CDC warns against consuming raw dough or batter from tortillas, pizza, pancakes, biscuits or "crafts made with raw flour, such as homemade play dough or holiday ornaments." The agency also warns against letting children play with the dough. Refrigerate products containing raw cookie dough or eggs until they're cooked and, once you bake them, do so at the proper temperature according to product directions. Wash your hands, too (naturally). Or, "bake before you bite," as the USDA Food Safety Twitter account advises. "I'm taking the risk," one Metro staffer declared after she heard the news. 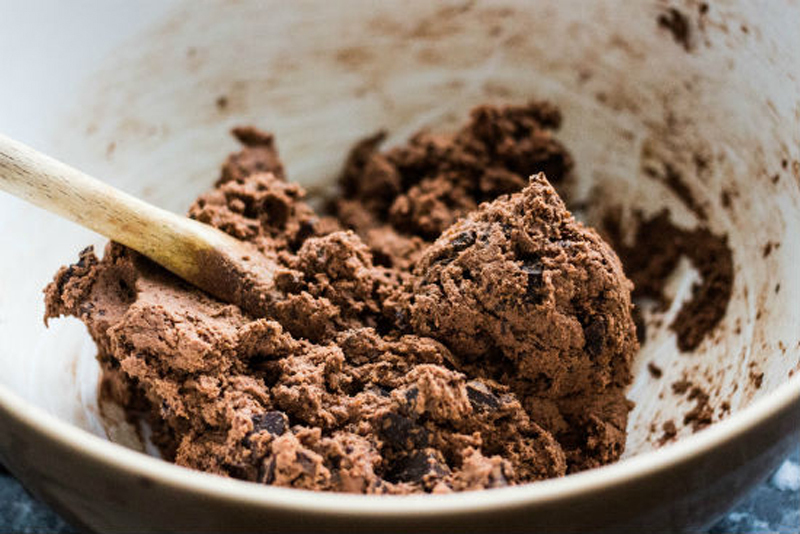 If you feel the same way about eating raw cookie dough, know this: Proceed with caution. And don't say you weren't warned.